Imagine that this summer you became the proud parent or grandparent of a baby girl. Perhaps it’s easy because you actually did. We need a name for this little creature. Let’s call her Emma. So, one evening this week, you find yourself cradling Emma in your arms, crooning and talking to her in words she doesn’t understand but in tones that comfort her. Your mind begins to wander and your words drift. With Independence talk coming out of your ears, and childhood memories stirred, you begin to talk to Emma, and to yourself, about the Malta you will have bequeathed when she turns adult in 2036. What do you say? Any words of counsel – “Dearest Emma, this much I know...”? It’s not stretching a point to connect national independence with personal independence. The achievement of 1964 liberated many people personally. 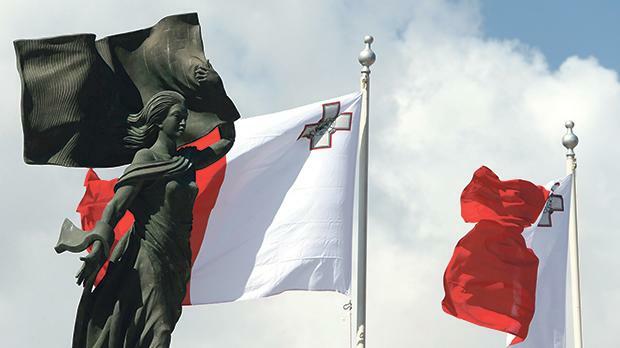 Career positions previously blocked to Maltese nationals (and such blockages affected skilled workers as well as certain professions) were now open. New industries made new kinds of jobs possible. New cultural horizons beckoned as well as economic ones. EU membership, in 2004, also wove the personal with the national. Studying or working abroad became part of a broadly shared life cycle, not a privilege of the few. Maltese millennials think of themselves as Europeans in life-planning terms. You might find yourself tongue-tied about the world in 2036. Where do you begin? What do you say? Eighteen years is such a long time that anything can happen. Try this little trick. Eighteen years can pass very quickly. Had Emma turned 18 this year, what would you have been telling her in 2000? You’d probably have been telling her about how stagnant everything seemed. The country had three leaders – Archbishop Joseph Mercieca; the PN leader (and Prime Minister), Eddie Fenech Adami; and the Labour leader, Alfred Sant – and the talk was dominated by considerations of when they would go away. Mercieca and Fenech Adami had been leading their organisations for close to a quarter of a century. Sant had been leader for only eight years but seemed incapable of winning another general election, and there were occasional rumours of internal Labour plots against him. Economic growth was sluggish as everyone awaited the resolution of the EU membership question. The PN was in favour, Labour against. As the crucial votes approached in 2003 – first a referendum, then a general election – people felt trapped by the political parties. You could deeply resent a political party and its defects but feel you had no alternative but to vote for it, as that was the only way you could secure your preference on EU membership. Perhaps, back in 2000, you would have told Emma something about your own simmering resentment, and how you looked forward to the day when you could be a truly independent voter. But you would also have told her that the EU negotiations had triggered an unprecedented audit of the state of the country’s environment – with measurements, comparisons, targets, commitments, and autonomous authorities to keep politicians in check. When Malta joined the EU, Emma would have turned four. You could have seated her on your lap and, looking at her as she looked at you, wondered what awaited her. As a girl, she was living in a country with the lowest women’s participation in the labour force. However, women were on the way to becoming the majority of students at the University of Malta. Moreover, you would already have felt confident in telling four-year-old Emma that you were already feeling less trapped by the political parties. By the time she was eight you’d have felt gleefully free. Not only did every institution have a new leader. The power of civil society seemed on an inexorable increase. The constituted bodies had played a public role in the EU referendum. And the public was more vocal than ever. NGOs blocked the building of ecologically insane golf courses (said at the time to be absolutely necessary by the tourism lobby) and made the environment an important issue in the 2008 general election. It seemed there was no going back on a vocal public. Everyone seemed unafraid to make their voice heard, insisting on answers to questions. One thing EU membership did was to disperse power. Autonomous authorities were set up to monitor government. But a funny thing happened on Emma’s way to adulthood. On the one hand, her personal life-choices continued to become more free. She had much greater choice on what to study. Women were flourishing in professions previously a male preserve. Women politicians were casually discussed as potential future party leaders. If Emma’s marriage failed she could divorce; if she were lesbian, she could marry – when, in the year she was born, the most popular TV programme could only find one lesbian (a Maltese raised abroad) ready to face the cameras unmasked. On the other hand, although she could do all this, she could still be publicly called a whore by an adviser to the Prime Minister, if she protested about the wrong things. In fact, had Emma been born in 2000, she would have been able to plan for an independent adult life in mainland Europe while being uncertain about an independent middle age in Malta. For, like all today’s young adults, she will bear the brunt of whatever was secretly negotiated, in her name, in the sectors of energy and health. But she’ll have no idea of what her legal obligations, as taxpayer, are. She’ll have no idea of who really owns the healthcare system, on which her life as an independent woman, encouraged to undertake various tests regularly, will depend. An Emma who’s 18 this year might not be able to tell whether she’ll ever be able to afford owning her own family home. But even if she day dreams, she cannot wonder wistfully about views or little gardens. Because no matter what the laws and regulations say, they can be scrapped overnight, literally, with the views disappearing and the garden dying when the sun is shut out by a precedent-busting commercial tower. An Emma who turned 18 this year will have no idea which commercial interests will control her neighbourhood by the time she graduates. So let’s turn now to baby Emma, born this summer. You should now have a better idea of what personal independence you are bequeathing her. If you’re at all responsible, you’ll enchant her early childhood with bedtime stories about valleys and fields. In 2036, they will seem as magical as elves and pixies. Teach the gurgling baby in your arms how to speak with confidence and aplomb – but only at dinner parties and job interviews. Unless things change, in the public square she’d risk being called a witch and worse. Take her to museums abroad. Let her see great architecture and public spaces around the world. Make sure she spends a gap year learning what it’s like to live in a community in Bolivia and Nepal, a semester abroad studying urban planning in Denmark, and six months interning at an anti-corruption public office in exotic Germany. But warn her that Malta is special. For, my dearest Emma, this much I know: 10 years ago we voters dreamed of becoming independent of politicians but what’s really happened is that they’ve become independent of us. They give no answers to our questions, no accountability for their actions, and not a single hoot about future generations.